The winning team with Embassy official. 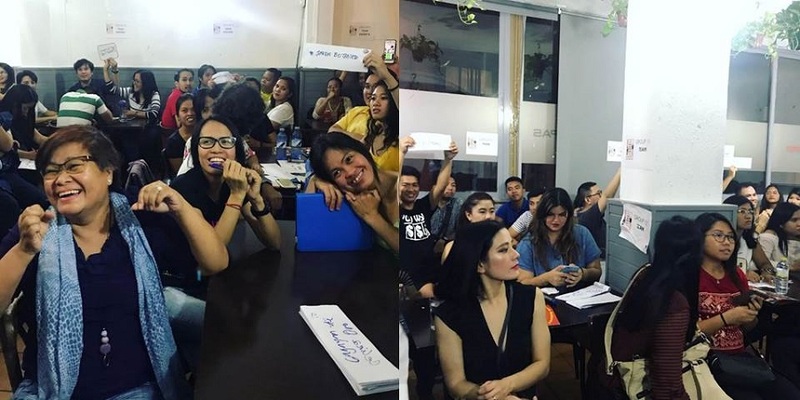 The Philippine Embassy in Madrid organized the first ever quiz night for Filipino students and scholars in Madrid on 27 September 2018 at Kaboodle 2 Filipino Restaurant. More than 50 participants and observers joined the event which featured over 50 questions on trivia topics. 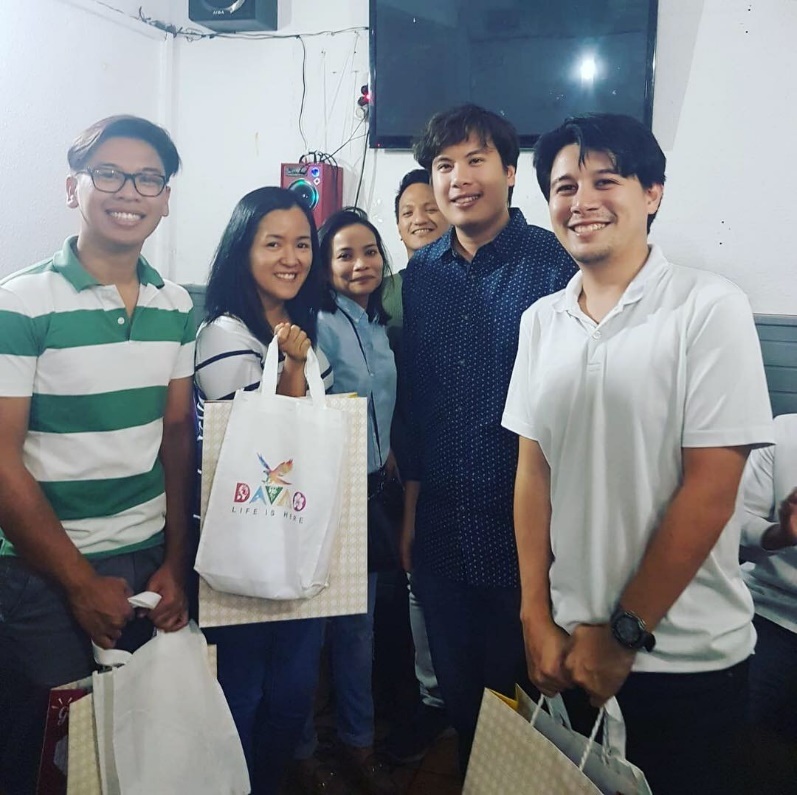 Team Mestizo, composed of Ava Geraldine Cudilla, Harold Luis Pacua, Roberto Villar, and Rafael Gonzalez, won the quiz night, with 35 points. Over 50 students, teachers and scholars from different fields participated in the event. Spain remains one of the top destinations for Filipino scholars in Europe, especially those undertaking graduate studies in history and other social science programs. Recently, Spain has hosted hundreds of language teaching assistants or auxiliares de conversación from the Philippines. ‘Auxiliares’ are mostly fresh graduates from top universities in PH who are hired by the communities and regional governments in Spain to assist teachers in elementary schools. The auxiliares are given stipends while under the program and the chance for cultural immersion in Spain. Most recently, an orientation was held by the Community of Madrid and Ministry of Education for the 35 new auxiliares recruited by the former to serve in schools throughout the city. Aside from the Philippines, Spain also consistently recruits auxiliares from the United States, New Zealand, Canada, Australia and the United Kingdom.